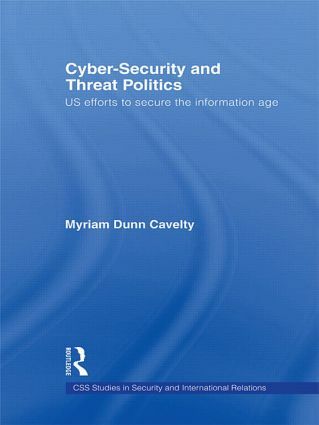 This book explores the political process behind the construction of cyber-threats as one of the quintessential security threats of modern times in the US. Myriam Dunn Cavelty posits that cyber-threats are definable by their unsubstantiated nature. Despite this, they have been propelled to the forefront of the political agenda. Using an innovative theoretical approach, this book examines how, under what conditions, by whom, for what reasons, and with what impact cyber-threats have been moved on to the political agenda. In particular, it analyses how governments have used threat frames, specific interpretive schemata about what counts as a threat or risk and how to respond to this threat. By approaching this subject from a security studies angle, this book closes a gap between practical and theoretical academic approaches. It also contributes to the more general debate about changing practices of national security and their implications for the international community. Securing the information age: Failed securitisation or a new logic of security?